We're just getting warmed up, folks. 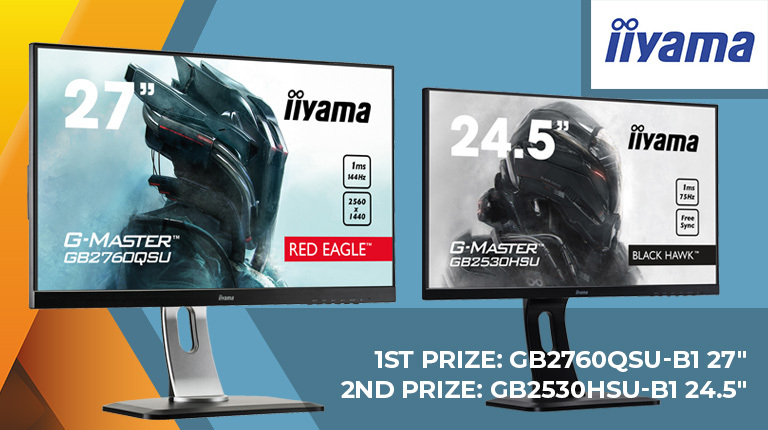 On Day 3, we've teamed up with iiyama to give you the chance of winning a 27in G-Master GB2760QSU-B1 monitor with 2,560x1,440 resolution and FreeSync support at up to 144Hz! Need even more incentive? Then how about this: we also have a 24.5in G-Master GB2530HSU-B1 awaiting one lucky runner-up! The competition winner will be picked at random from all eligible entries that arrive by 09:00 London time on the closing date, December 19, 2018. First prize is an iiyama G-Master GB2760QSU-B1 monitor. Second prize is an iiyama G-Master GB2530HSU-B1 monitor. Oh now that would be a nice prezzy for Christmas. My Benq is starting to play up and is out of warranty. It may be a condition set by the mfr/distributor who supplies the prizes. HEXUS is a UK based site.